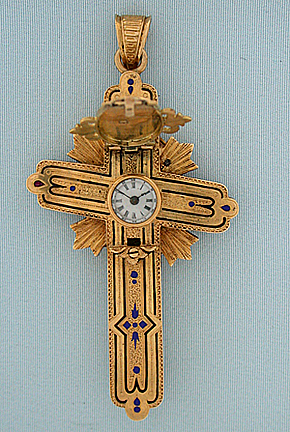 Fine and unusual Greek Orthodox 18K gold and enamel antique cross watch circa 1850. 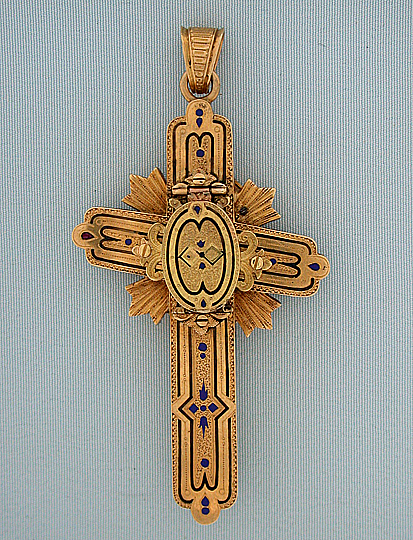 Engraved and case with highlights of black and blue enamel. Cover over white enamel dial with blued steel hands. 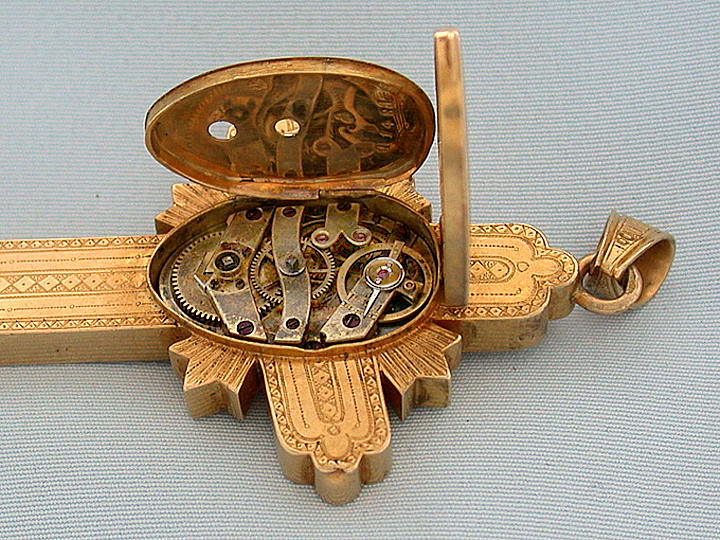 Oval 10 jewel cylinder movement. 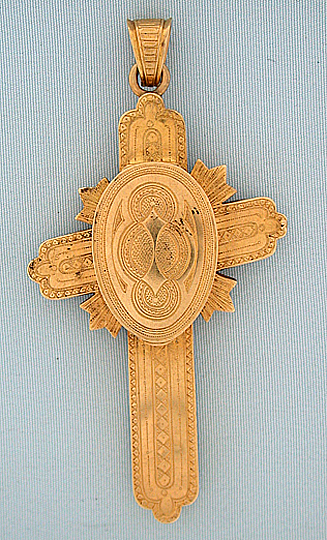 Very attractive and unusual.